Ever since the invention of the piano in the 1600s, this versatile instrument has entertained families in their homes, kings and queens in their palaces, audiences in concert halls, and, in this age, listeners of digital music on the Internet. Whether you're listening to streaming radio or downloading your favorite piano music, these websites offer a wide selection of classical pieces. In our digital age, if a style of music exists the Internet has it. There are many Internet radio stations dedicated to classical piano music. 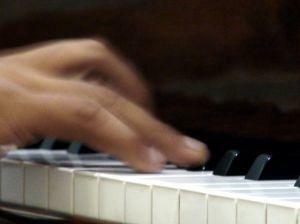 It is important, however, to distinguish between "solo piano" and "classical piano." A solo piano station might have very little to do with classical music. Instead, such stations or recordings might feature a pianist playing modern compositions or perhaps even improvising. In its lowest form, the style is not unlike elevator music. True classical music typically encompasses music that was written in the Baroque (1600s), Classical (1700s), and Romantic (1800s) periods of Western music. Pandora Radio's Classical Piano Station: With its massive song library, Pandora's classical piano station hits upon every master composer who has written for piano or whose compositions have been arranged for piano, including Rachmaninoff, Mozart, Chopin, Debussy, Liszt, Tchaikovsky, Satie, and Saint-Saens. Every popular pianist can also be found on Pandora, and you can create stations based on your composer or artist favorites. Besides the build-your-own-station options, the feature that makes Pandora so popular is the information panes that accompany each song you play. As your music plays, you can peruse the composer's biography, learn more about the history of that style of music, click on other similar artists that Pandora recommends and create new stations based on those artists. It also provides links for purchasing the music in your player. The result is total immersion in your chosen music genre. It's impossible not to learn or hear something new when using Pandora. It does, however, require the extra step of creating a profile and signing in to use it without limits. AccuRadio featuring Piano Soloists: AccuRadio, like Pandora, also has a large library of music covering all important classical piano compositions. It has an excellent variety of famous piano performers such as the Five Browns and Lang Lang, with a long list of performers in your station's queue that you can customize and edit however you wish. Its best selling point is its straight-forward simplicity. AccuRadio does not require any registration or sign-in. The moment you arrive at the site, the music begins. It does not have the sleek design of Pandora where you can create your own stations, but it does have separate tabs for recommended artists along with a few customization options. Last.FM: After CBS acquired Last.FM for 280 million dollars, the popular social media music site has used its resources to build a listening experience that competes with Pandora. In addition to providing recommendations and interesting information about each composer and links to purchase music, Last.FM offers an immersive social media experience that keeps track of what your friends like as well as your listening habits and providing instant feedback, such as how many times you've played a certain song and how many other listeners have played that song. It also features a fun Ken Burns-styled slide show in the music player that shows old paintings or sketches of whichever master composer is being played. Each site is free with the occasional interruption for a commercial. If you are not a registered user of Pandora or Last.FM, your listening and immersion experience in each site is quite limited. PianoSociety.com: This site is comprehensive, well-organized, and is a fantastic resource for both classical music aficionados and fans new to the genre. Most of the songs are readily available in MP3 format with an audio quality of 128kbps or better. If you enjoy visuals, this website also offers videos and free sheet music. Lisztonian.com: This simply designed site features one page with a long list of classical piano pieces free to download as MP3 or WMA, and, if sheet music is available, you can also download a PDF for free. Classic Cat: This large site has an excellent library of free piano music that thoroughly explores every major period of the classical genre. With piano music you can often find basic MIDI files that are free to download. These are different than MP3 or WMA files because they are not "true" recordings. Instead they are computerized versions of instruments, so purists will feel that they sound too artificial. However, if you are a casual listener of classical piano music, then MIDIs are a decent alternative. In addition MIDI files are significantly smaller than similar MP3 files and will require less memory to store on your computer. One of the more comprehensive sites for MIDI can be found at the Classical Piano Midi Page. There are few instruments in the world that can sit alone on a stage in a concert hall and, with only a few soft notes, haunt the audience with its melodies and bring the listeners to tears. For centuries, pianos have been doing just that. Bring this warmth and elegance into your home, work space, or mobile device with these great resources.